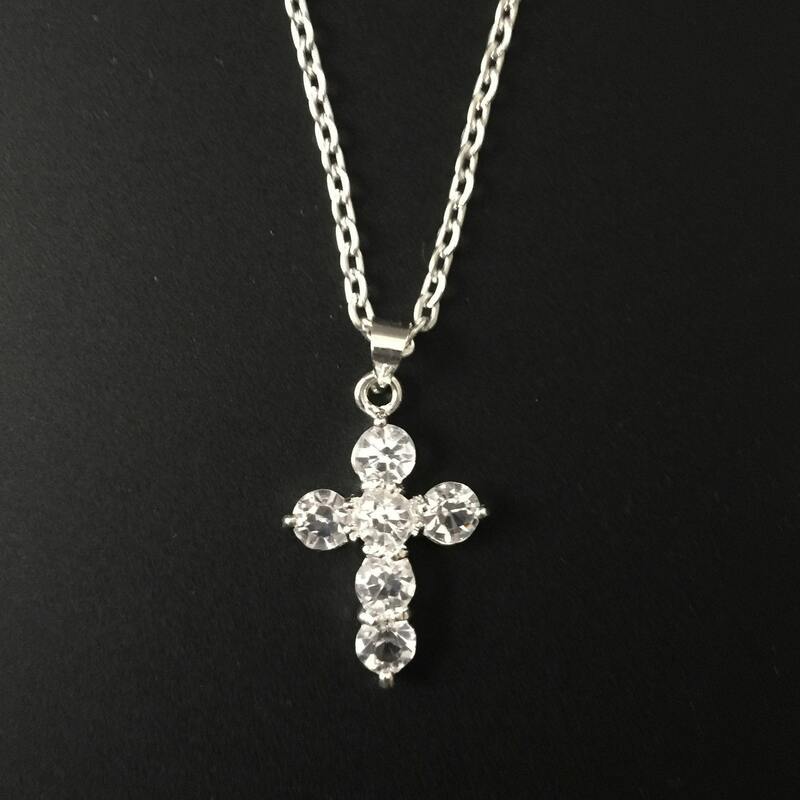 This is a beautiful crystal cross pendant. 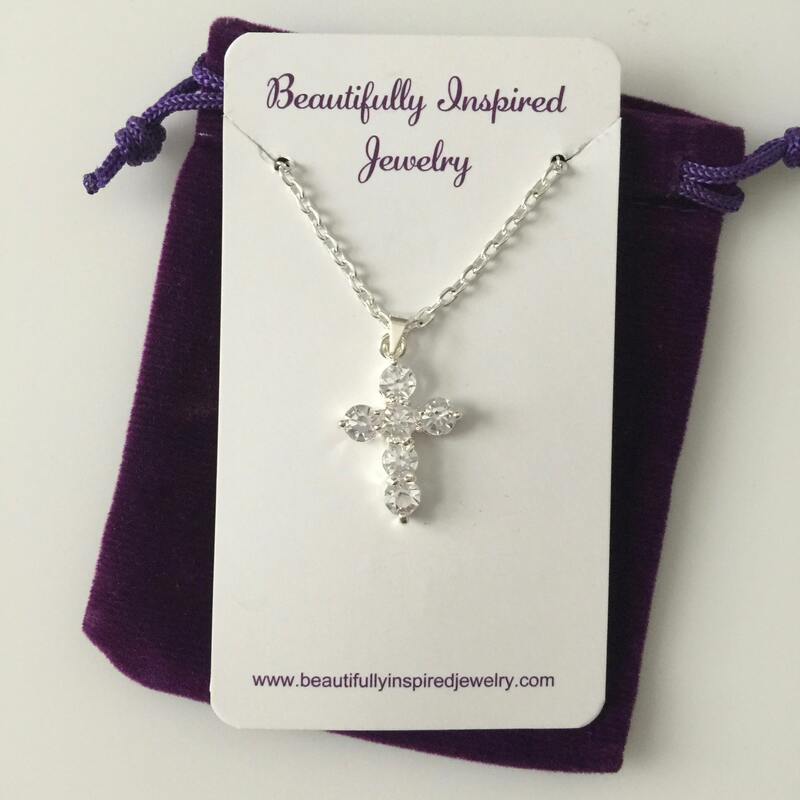 The cross is 1" inch length and is made with 6 brilliant clear crystals with a silver plate back. The chain is a shiny silver plate link chain in your choice of 18" or 24" in length. 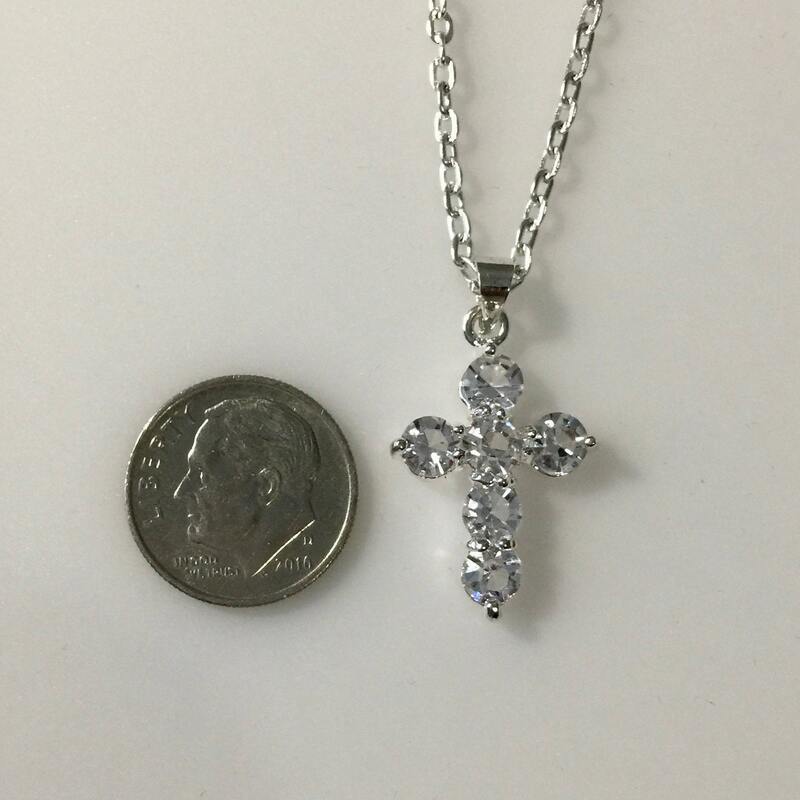 The pendant chain has been treated with a clear acrylic to preserve the finish. 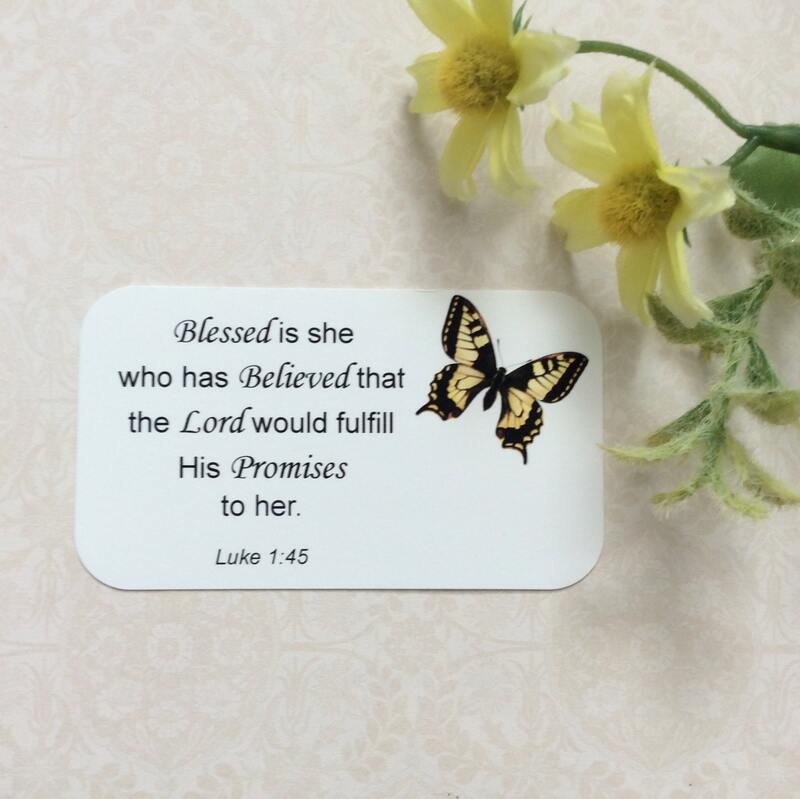 A wallet size scripture card comes with the pendant with bible verse from Luke 1:45 which reads: Blessed is she who has Believed that the Lord would fulfill His Promises to her. The pendant comes ready to give in a beautiful velvet jewelry pouch in your choice of gift box in white or kraft as shown. A splash of water won't harm the necklace, however it should not be worn in the shower or while bathing or swimming.